Lathams began in the early 1970s, with a recipe for lemon souffle handed down to Mrs Latham from her grandmother. They are a family run business, based in the heart of Lancashire, specialising in high quality indulgent desserts, cakes and biscuits. If you’re lucky enough to work near their small shop in Preston, you’ll also know the joys of a Lathams lunch! Only the best ingredients go into Lathams products, including local farm eggs, milk and cream, which keeps that homemade taste. Nearly 40 years on, the recipes are the same. Lathams cook with cream and butter from the dairy in the next village, they use eggs from the farm ten miles down the road. And they make everything in their bakery in Lancashire, down to the raspberry jam for the fillings and the chocolate fudge frosting on the profiteroles. It’s the closest you can get to home baking without doing the hard work yourself. 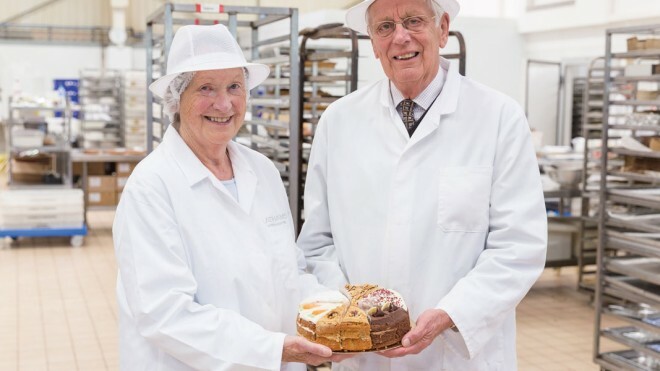 As well as hand making a selection of Booths own desserts and cream cakes, including our decadent coffee renoirs and family-sized lemon meringue pie, you can buy plenty of Lathams own treats in store, from celebration cakes to cheesecakes and frozen showstopper desserts.